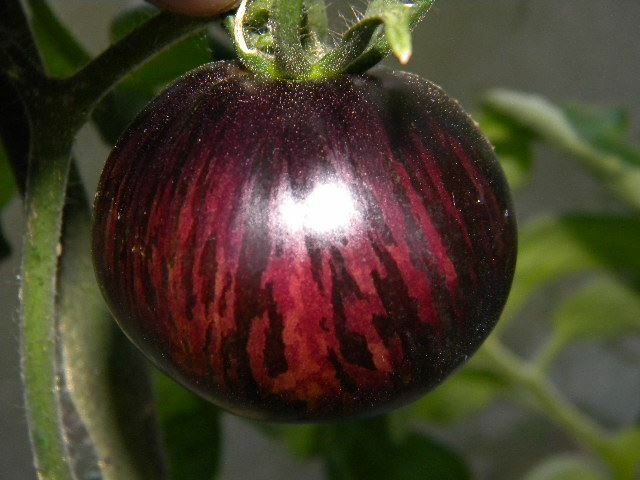 Bred by Dean Slater for enhanced looks and flavor in an antho tomato. Mini striped 3-6 oz. indeterminate. Rich, sweet flavor, with a nice bit of acidity. *15 seeds per pack.